It is doubtful if any community of its size in Canada acquitted itself more nobly in war work than did Shubenacadie, which gave its youth and money without stint and, at the end of the great conflict, did fitting honour to its 19 gallant dead by erecting a handsome granite and bronze monument, one of the best in the province. The call for troops was answered quickly. In all, about 80 young men and three nurses went overseas. Every appeal for money for war purposes received enthusiastic support. When the great struggle was over and on the evening before the day set apart as National Peace Day, in July 1919, a great gathering was held at the exhibition grounds in the main building. With appropriate ceremony sixty heroic men and three brave nurses were each presented with a handsome gold watch as a slight token of the community's appreciation. This presentation is believed to have had no counterpart in all Canada. Following the ceremony, all sat down to a turkey supper, following which came an enjoyable dance. At sharp midnight, fireworks were set off and an enormous bonfire was lighted. Shubenacadie believes it was the first place in Canada to celebrate National Peace Day. It, apparently, stole a march on the rest of the country. The monument stands on the railway side of the main street, near the depot, on land 30 X 50 feet granted by the C.N.R. for the purpose. It is planned to build a low concrete wall about this land next year and put up concrete steps from the street. 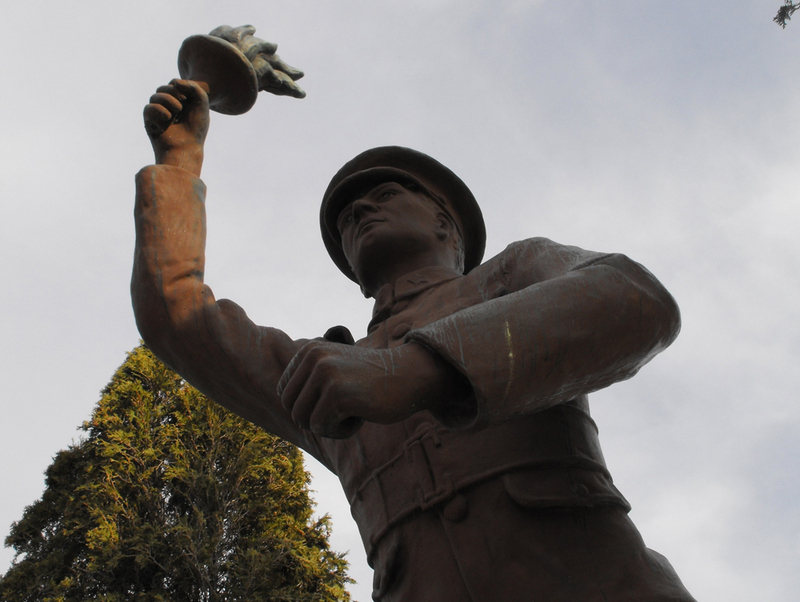 In the matter of the war memorial, Shubenacadie has set a shining example to many larger communities.